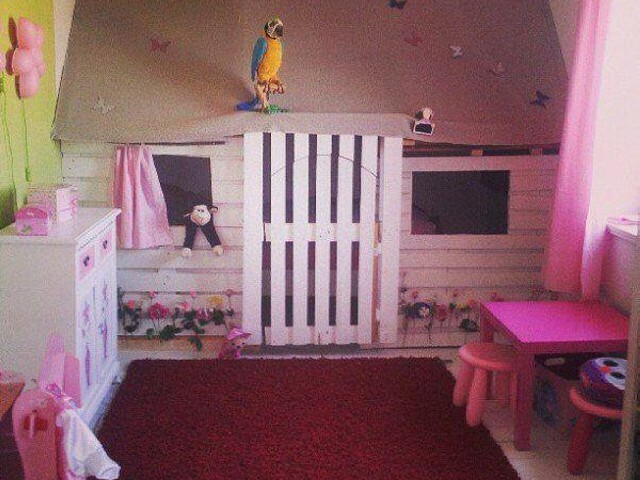 Being a pallets lover, I always looking for new ideas of pallets creations, wood pallets recycling made things easy to make what you want. Today me collected some colorful pallets projects to share with site users. 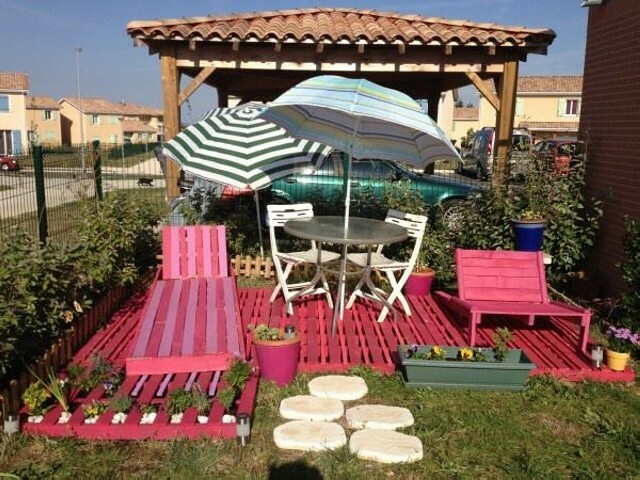 These are very romantic and fantastic pallets ideas from indoor to outdoor furniture and other stuffs. 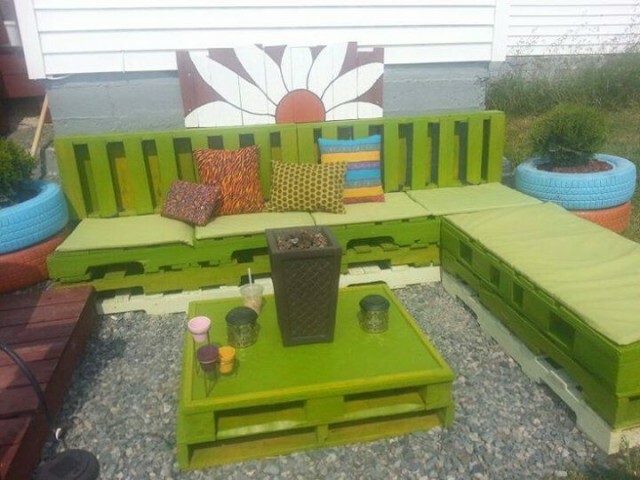 The lovers of Pallets DIY Projects and pick some ideas to create their next pallets project. 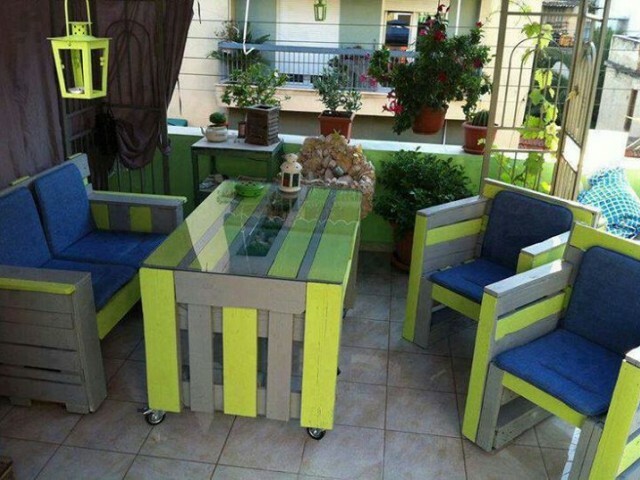 A Cute colorful sofa, chairs and table made with pallets and painted. 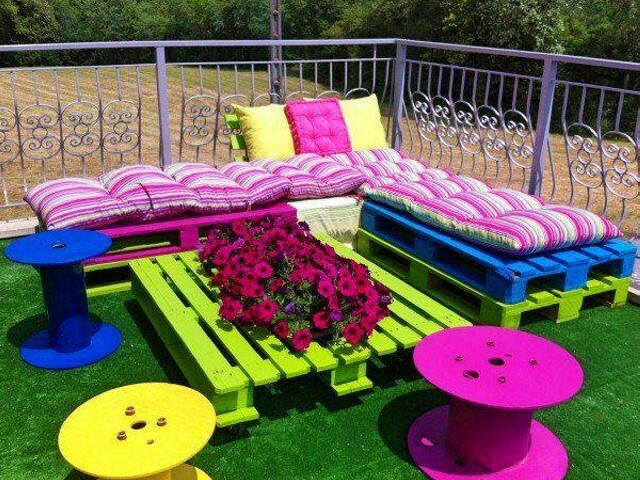 What a nice patio pallets furniture and sitting idea, looking so romantic to sit on it and enjoying the weather. 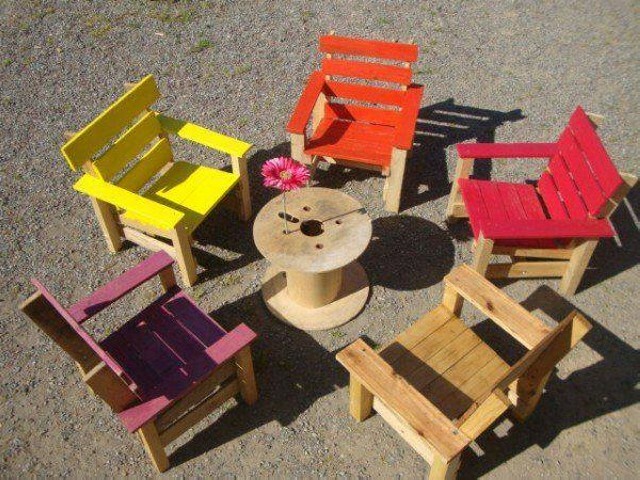 Nice Colorful pallets chairs and table.